Bill's extensive management background includes senior management positions at Procter & Gamble, Assante Asset Management and AIM Trimark Investments. He was on the Board of AIM Trimark and also sat on the board of the Investment Funds Institute of Canada. 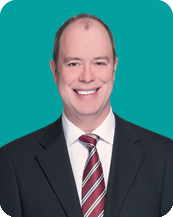 Bill has over 20 years of dental practice management experience.